On an overcast evening last November, I met the American essayist and translator Eliot Weinberger at a gentrified West Village coffee shop. Having got there early, I was looking out the window to see him approach: an impressively balding man dressed in austere literary attire—faded navy jacket, plain t-shirt, lit European cigarette—placidly weaving his way through a crowd of suited professionals and hip yuppies. It was an apt image, in its gentle anachronisms. The village, once a cheap artistic refuge, has today turned into a playground for supermodels and hedge funders. Most of its (and America’s) writers have in turn gentrified themselves, leaving society for this or that university. But through these dismal decades of late-capitalism, Weinberger has remained heroically independent: a lonely polymath upholding American modernism from his apartment. This principled independence is one reason that he’s developed a cult following home and abroad, even if his books have been largely ignored by the American press. 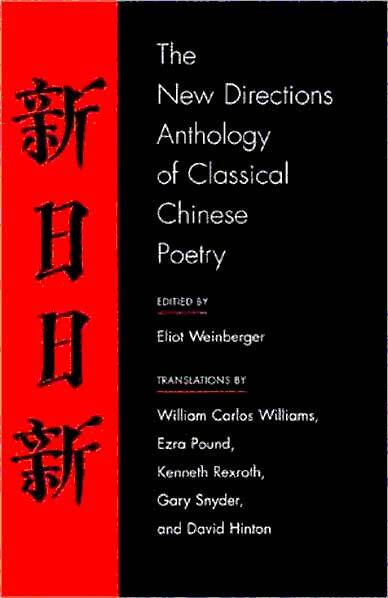 I first came across him when a renegade Chinese professor handed me a roughed-up copy of his 1987 pamphlet on translation, ‘19 Ways of Looking at Wang Wei’, with the following words: “Weinberger is the only Westerner who understands Tang poetry.” A new version of that book, along with his latest collection of essays, The Ghost of Birds, were recently published in the U.S. They were my pretext for meeting him, though of course I hardly needed one…. From a profile by Ratik Asokan of my friend Eliot Weinberger in The Hindu. Please continue reading there. Today is Friday, April 19, 2019 4:53 am (U.S. central time).